FireI got 2 little questions about chargemeters. 2. where do i find the x/y positions for the huntsman chargemeter ? [quote=Fire]I got 2 little questions about chargemeters. Fire1. where do i find the x/y positions for the bonk drink / crit-a-cola chargemeter? [quote=Fire]1. where do i find the x/y positions for the bonk drink / crit-a-cola chargemeter? I've been playing MVM recently and I noticed the Giants' healths aren't showing up. Is it possible to display both primary and secondary ammo simultaneously? NoFap Fire1. where do i find the x/y positions for the bonk drink / crit-a-cola chargemeter? http://doodlesstuff.com/?tutorial=tf2hud&section=meters m0nkei FireI got 2 little questions about chargemeters. [quote=NoFap][quote=Fire]1. where do i find the x/y positions for the bonk drink / crit-a-cola chargemeter? [quote=m0nkei][quote=Fire]I got 2 little questions about chargemeters. DontIs it possible to display both primary and secondary ammo simultaneously? Do you guys know how to setup editing of winpanel better? I mean it appears in the end of the round for like 5 seconds. NoFapDo you guys know how to setup editing of winpanel better? I mean it appears in the end of the round for like 5 seconds. Record it in a demo. The % of Ubercharge and the name of the medic gun. carlowoHow can i fix this? [quote=carlowo]How can i fix this? I need to get my chat working on a res of 800x450. I have expanded the box across my screen but I still cannot see the chat or what I'm typing. where would you go in your hud folder to modify your killfeed and how could you change the size of it and how many can show up at once on your screen? 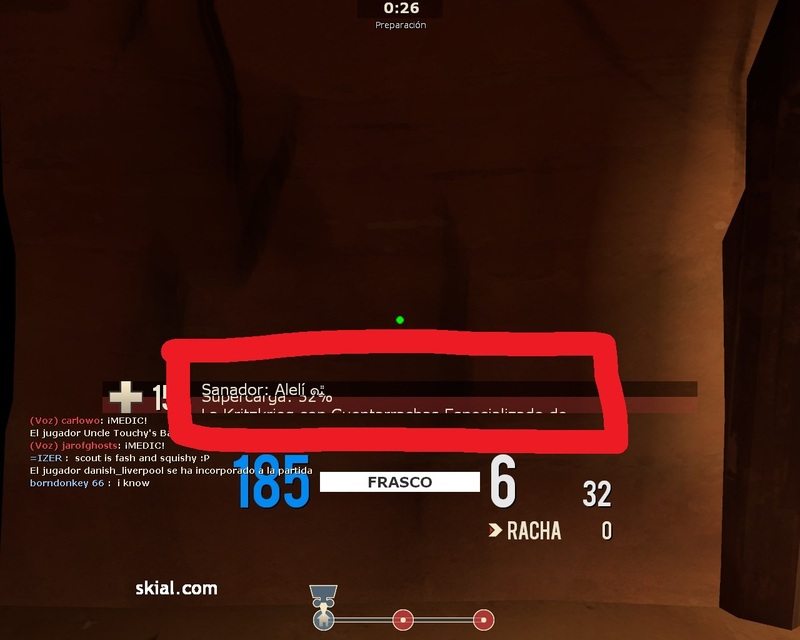 suikawhere would you go in your hud folder to modify your killfeed and how could you change the size of it and how many can show up at once on your screen? So you know how in hudammoweapons there is AmmoInClip and AmmoNoClip, and they disappear/appear automatically. Is there a way to make another element follow this disappear/appear property? How do you change what the button on the main menu say like from default hud- "play multiplayer" to "multiplayer"
cosmo_How do you change what the button on the main menu say like from default hud- "play multiplayer" to "multiplayer"
Most of them are in resource/gamemenu.res beside "label". Just change the text in there to whatever you want. Alright folks. I just got a new font, and im running into this problem. My hp, ammo, and damage numbers are in a different font than everything else. Anyone know why? I'm trying to make a button a certain color when I hover over it, but it just goes directly to the default. Any way to fix this? RawrsorI'm trying to make a button a certain color when I hover over it, but it just goes directly to the default. Any way to fix this? I've not done menu stuff in a while but it looks like all you're doing is changing the fgcolor of the word SCOUT, not the actual button itself. [quote=Rawrsor]I'm trying to make a button a certain color when I hover over it, but it just goes directly to the default. Any way to fix this? _Kermit RawrsorI'm trying to make a button a certain color when I hover over it, but it just goes directly to the default. Any way to fix this? [quote=_Kermit][quote=Rawrsor]I'm trying to make a button a certain color when I hover over it, but it just goes directly to the default. Any way to fix this? I've been having trouble editing the TargetIDs. In the hudlayout.res file, nothing seems to affect the TargetID. I've messed around with the x/y values and the wide/tall values, but it doesn't change at all. Also, when I try to move the individual elements in TargetID.res and SpectatorGUIHealth.res, it is stuck in the default border (the one that the hudlayout won't let me change). 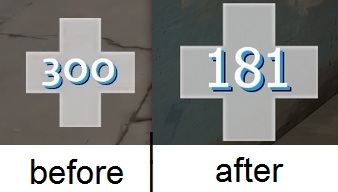 hi, does anyone know how to change the colour of the health/ammo pickup animation and the demo sticky counter? KDubShinehi, does anyone know how to change the colour of the health/ammo pickup animation and the demo sticky counter? [quote=KDubShine]hi, does anyone know how to change the colour of the health/ammo pickup animation and the demo sticky counter? GrodenHello, i was wondering if i could change the opacity of the cross that appears when buffed or low as i sometimes can't see my hp with how bright it is. HudAnimations.txt in scripts, find BonusHealth or similar, there'll be an entry that's bonushealthimage and the alpha will be animated. If you want if off just type "//" at the start of the lines the image is featured, if you want it on more put the alpha as "255". [quote=Groden]Hello, i was wondering if i could change the opacity of the cross that appears when buffed or low as i sometimes can't see my hp with how bright it is.